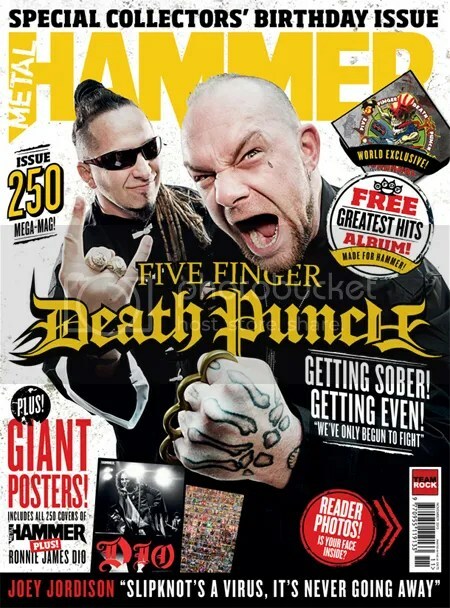 I confess I was taken aback by the level of… restraint in the new Five Finger Death Punch album, and not in a good way. But after listening to it a few times, “Got Your Six” has grown on me. The more melodic approach I, at first, saw as shallow is actually a refinement process. The band’s respect for the USA army is well known so I was surprised that it took them so long to name an album after a military expression. And given its strong meaning, it’s also natural that “Got Your Six”, the opening track, is one of those songs that you immediately identify as Five Finger Death Punch’s when you first hear it. The punching beat (no pun intended), the fluid guitars… somewhat less aggressive than usual, but it still has the band’s trademark sound all over it. “Jekyll And Hyde” is intense rather than brisk, the drums in the chorus almost like a hypnotic mantra and the “oyoyo!” a clear invitation to sing-along. It was on the next track, “Wash It All Away”, that the doubt started to bite, as I found the chorus way too much pop-ish. The main riff is quite melodic too, but in a way that will win you over immediately. The catchiness of the chorus eventually triumphs and you realize how good this song actually is, but it takes a while. Pretty much the same with “Question Everything”, where somberness and heaviness take turns as the leading role of the melody. Once again, not really an edgy song, but very well written. And the acoustic solo is stellar! You’ll find plenty of edginess on “No Sudden Movement” though, so it’s not like they dismissed the fast lane completely. 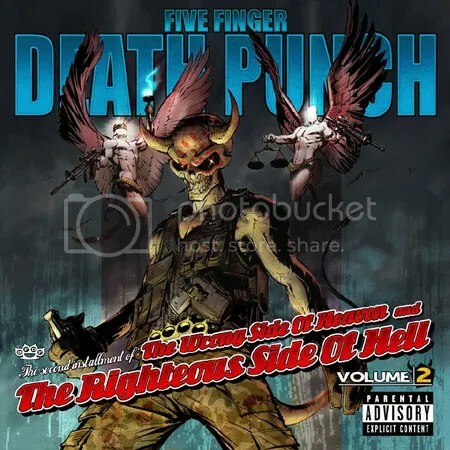 And the cranking guitars on both “Meet My Maker” and “Hell To Pay” bear that dear ol’ feisty spirit of 5FDP – not to mention “Boots And Blood”, an ode to the F word. It’s only “Ain’t My Last Dance” and the ballad “My Nemesis” that I’m still struggling with, both being somewhat too average for my taste (and the sudden change of pace in the chorus of the first doesn’t feel right to me). The other ballad, “Digging My Own Grave”, may not be exactly spectacular, but the seductiveness of its melody will linger in your ears. 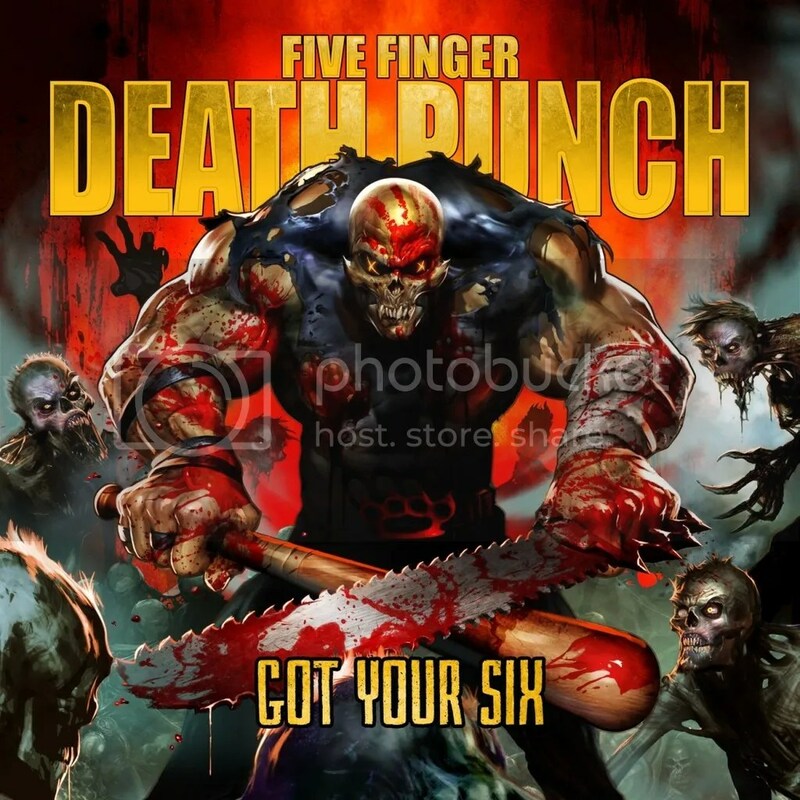 “Got Your Six” is definitely Five Finger Death Punch’s more polished album so far and that’s why one might be skeptical. But give it a couple of tries and you’ll see how toning down the rage isn’t that bad after all. A little less than four months after the release of volume 1, volume 2 came and conquered. The overall sound is thicker, the beats more straight-forward and the guitars fuller – as “Here To Die” and “Let This Go” best illustrate. Jason Hook and Zoltan Bathory let their fingers dance more loosely throughout this album, without getting overzealous about elaborate patterns, which I’m personally thankful for – guitar virtuosos have become such a cliché that they’re just too boring. The ballads are also more enthralling, deeper. Starting with “Battle Born”, which made it to single. The life on the road is always a delicate subject that both artists and fans fall for. And when it’s put in such a heartfelt way, lyrical and musical wise, like “Battle Born” is, then it’s a guaranteed hit. Then, preceded by a somewhat melancholic instrumental piece called “”The Agony Of Regret”, there’s a more sophisticated version of “Cold” – a dark song originally by Black Blood Orchestra, which is a project of Ivan Moody and therefore I don’t think it’s accurate to say this is a cover. 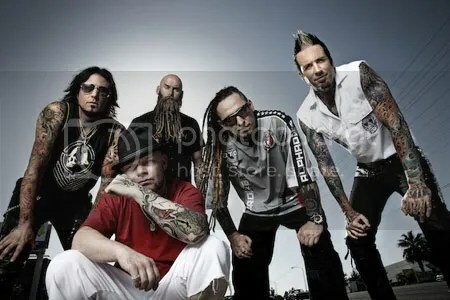 5FDP revamped it with a piano and alternative lyrics and the outcome is emotionally stunning. The real cover, also a smooth tune, comes in the form of “House Of The Rising Sun”, that traditional folk song that The Animals made famous in 1964 and so many bands have covered ever since. But it seems that this was the first song that Zoltan learned how to play on the guitar, so the number of previous versions didn’t mean a thing. Replacing “New Orleans” by “Sin City”, Ivan sings with his deepest tone and that alone makes it all worth it. Also regarding the vocal performance, I must call your attention to “Cradle To The Grave”, where the insertion of a harsher second voice in some key-verses boosts the power of an already strong track. Volume 1 may sound catchier and have all those guests embellishing its work, but volume 2 deserves nothing less than the same 5-star stamp. Last night, metal legend Rob Halford, frontman for Judas Priest, surprised fans as he jumped on stage to join Five Finger Death Punch for a performance of their song Lift Me Up at the LG Arena in Birmingham. Halford is featured on the studio version of Lift Me Up, which appears on the first installment of Five Finger Death Punch‘s masterwork titled The Wrong Side Of Heaven And The Righteous Side Of Hell, released in July. The band wrapped up their European arena tour with Avenged Sevenfold last night and finish the year in Russia with four headline shows. They kick off 2014 at Florida’s ShipRocked in January, before heading over to Australia for the Soundwave Festival. “The Wrong Side Of Heaven And The Righteous Side Of Hell – vol. 2” (read our review of vol.1 here) will be released on November 18th, but a career-spanning compilation album is now exclusively available with the 250th special edition of Metal Hammer. After the release of “The Wrong Side Of Heaven And The Righteous Side Of Hell Vol. 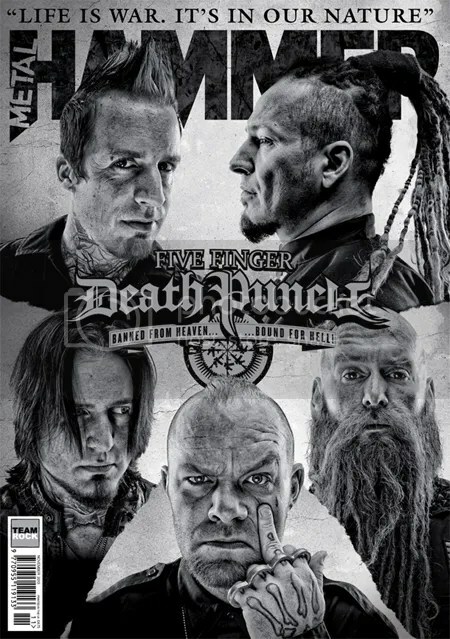 1” (review here), Las Vegas-based Five Finger Death Punch have now announced that volume 2 will hit the stores on the 19th of November. The new single “Battleborn” is already getting radio airplay and whoever pre-orders the album on iTunes (standard or deluxe edition), gets an instant download of it.